The grand dame of Northland golf, Liberty Hills resides in a comfortable countryside setting five miles north of Liberty. At 6530 yards and playing at par 70, it is one of the shorter courses in the Kansas City area, making it an especially easy course to walk. But don’t mistake the distance for a lack of challenge. Opened in 1967 as the first country club north of the river, the course features unusually narrow fairways and, resting at the highest point in Clay County, is subjected to more than its fair share of crosswinds. The beautiful greens are protected by numerous pot bunkers with water hazard through the middle of the course. The combination of challenge and accessibility gives Liberty Hills its charm, while the friendly, community feel of the club brings loyalty from its members. Members often cite the easy walk-ability of the course as contributing to the tight-knit community experience. “Number three is an interesting hole,” said Manager Sam Klos. “Our members will play it differently sometimes. 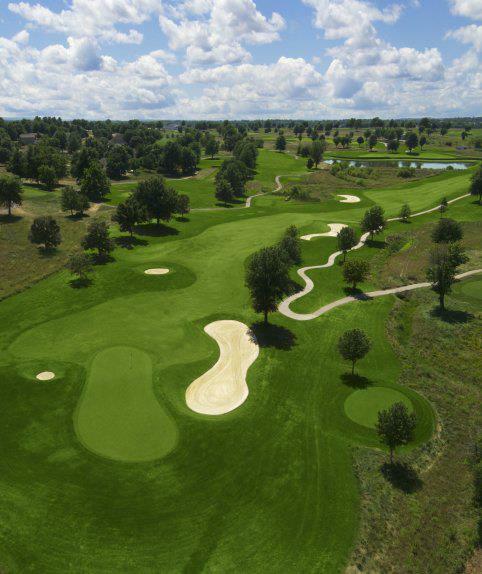 People will take chances on it.”While strolling at Liberty Hills, players will find plenty of challenges to suit every type of game, particularly at par 4 number three, a short (342 yards) dogleg right which entices newer players to go for broke. But danger awaits with a slightly misplayed shot in more than a dozen pot bunkers and a sparse fairway. The rest of the course presents it’s own challenges. Number nine (par 4, 392 yards) hooks around to the left over water to the green, requiring an exacting approach shot for a chance at birdie. The challenges of Liberty Hills has helped produce a number of fine golfers, including Kearney’s Ryan Zech, who won All-State honors in Missouri for three years and was named the 2011 Kansas City Metro Player of the Year before becoming one of the Missouri Tigers best performers. While some golfers come for the beautiful course and unique challenges of play, many simply enjoy the unhurried countryside atmosphere. “It’s a neighborhood course and I have made a lot of really great friends playing golf at Liberty,” Travaglione said. Liberty Hills has just put the finishing touches on re-sodding the back nine with Zoysia grass, to match the front nine and replacing the old blue grass. While it will take time for it to come completely into full growth, it is already becoming lush and beautiful. Re-sodding is the primary improvement made since Great Life purchased the course in April, 2013, and Marshall believes their efforts have been well received. The course became available to Great Life after it sat mostly dormant for part of two years following a January, 2012, fire which destroyed the clubhouse. The club has since struggled to restore its membership ranks to a level needed to rebuild the clubhouse. It had reached a nadir when Great Life’s Rick Farrant and Doug Albers became co-owners, but they have already begun to turn it around. However, Marshall cautions that they are still trying to recover some of the original Liberty Hills glory. With approximately 350 current members, Liberty Hills hopes to continue adding to their rolls before taking on the next challenge. New members joining now would have an opportunity to help restore the club and get in on the ground floor of a newly rebuilt clubhouse experience. Once they reach the magic number, the clubhouse can be constructed in “eight to 12 months,” according to Marshall, but even then ownership will remain committed to the Great Life ideal of affordable family-style memberships. 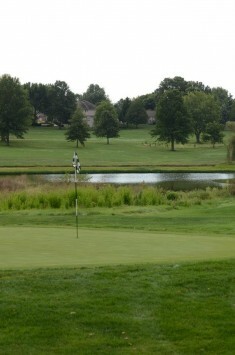 In the meantime, the golf course, the driving range and the swimming pool (which opens Memorial Day weekend) are all available to members, and as part of the Great Life association, members can also take advantage of amenities at other area courses, such as the workout facility at Staley Farms. Liberty Hills’ pavilion is also available for outdoor events, such as graduations and wedding. The club will continue to host popular men’s and women’s leagues, and a variety of entertaining events for members. The total package at Liberty Hills makes for a great value. 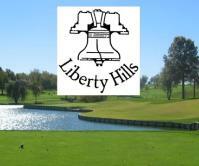 “Liberty Hills was recommended by many of our close friends,” said Kathy Steward of their relocation three years ago, when they were looking for a residential and golfing community with a championship course to match their previous lifestyle in Wichita. “We found that Liberty Hills met all our golfing needs, such as ease of accessibility for tee times, friendly staff and practice facilities. 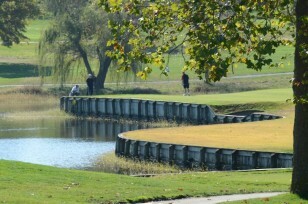 We have played many courses in and around the Kansas City area. Liberty Hills rates up there as one of our top picks of courses in and around Kansas City. 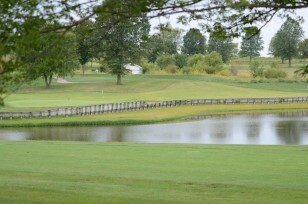 This entry was posted in Featured Articles, Featured Courses by KC Golfer Magazine Editor. Bookmark the permalink.